I'm not going to lie, this is not the first dish that comes to my mind when I think of what to make for dinner. I usually only make it when my husband requests it, which happens to be pretty often. Buttttt, whenever I do make it, I love it so much and end up eating most of it lol. This is also the only dish (correct me if i'm wrong) that is Middle Eastern, Vegetarian, and acceptable to eat as a main dish lol. Usually, at least in my family, if there is no meat, then it's just an appetizer or side dish. 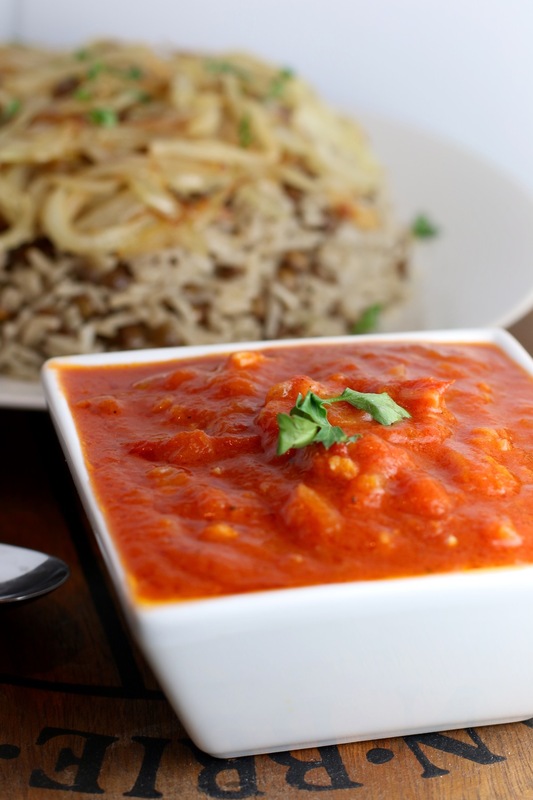 So bring it on meatless Mondays, Mjaddara is ready! Growing up my mom always made this with bulgar (#3) and lentils with tons of onions and a tomato salad on the side. My husband grew up eating it with rice and lentils with a tomato sauce not he side so I tend to make it that way (also because I always have rice handy but don't always have bulgar). For me, the onions make the entire dish. 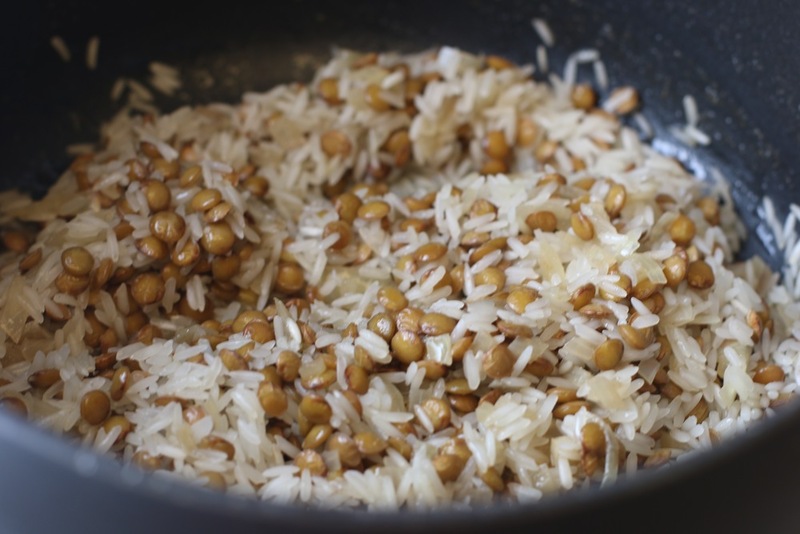 The way they melt in your mouth and compliment the lentils is just so good.